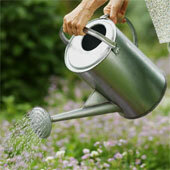 How many hours do you spend attending to your garden. I find it to be an absorbing hobby and I wish there were more hours to a day. The only snag is nowadays we do not get labourers to do the heavy jobs. Hi Allknowing, I missed those days when i maintained a collection of cactus. I spent the whole day of saturday transferring/planting baby cactus and adding some more of it in my collection. My husband used to accompany me in the cactus garden to buy new breeds of cactus. When i left for the US my cactus collection were distributed to my siblings. They're not successful enough in growing them huhuhuhu. I don't have any now. But i am planning to have a flower garden and my weekend will definitely be spent there. It's very relaxing and gardening really energizes you!